So you want to buy a sewing machine. The options are endless—so endless, in fact, that buying a sewing machine can be incredibly intimidating, especially for beginners. More experienced sewists may have a better idea of what they’re looking for, as previous sewing machines may have had features that they liked or would prefer to do without. But for beginning sewists, buying a sewing machine is totally overwhelming. Well, have no fear! 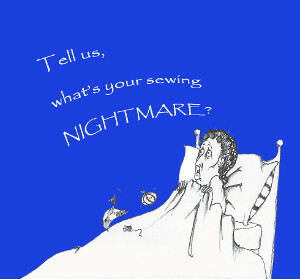 We at AllFreeSewing are here to help. If you’re a beginner sewist out to buy your first sewing machine, keep these simple tips in mind and the whole process will be fuss free. The first decision you’ll have to make as you set out to choose your new sewing machine is whether you want a home or heavy duty sewing machine. I know it can be tempting to fall for all the bells and whistles that industrial sewing machines offer, but be honest with yourself: are you going to need it? How often do you plan to sew? If this is a machine that you’ll be using almost every day, or if you’ll be making items to sell, it may be worth the price to buy an industrial machine, as they tend to deliver a bit of a neater stitch and are often much faster than home machines. Keep in mind, however, that industrial machines are exponentially more expensive than home machines—they can come with a price tag of up to $2000. 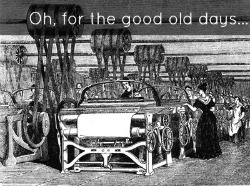 To compare, good home machines generally cost between $200-$600, depending on how many features and extras the machine has. For a beginner sewist who plans to use her machine a few times a week, these machines are going to be a great fit. They are far more portable than industrial machines and tend to be a bit simpler to use. Another thing you need to ask yourself is: What type of projects do you want to tackle? Home machines are built to handle a large variety of sewing tasks, from quilting to tailoring, whereas some industrial machines are a bit more specialized. This is, of course, not always the case, and you can certainly find industrial machines that are able to sew the kinds of projects you’re making. But it is something to keep in mind. Now, look at the stitches that you’ve made. Are they even? If your stitches vary in length (for example, if one stitch is twice as long as the next) then that means your machine is skipping a stitch, which will cause endless headaches and problems down the road. So be sure that each stitch is the same length. Turn the fabric over—do the stitches look the same on the back as they do in the front? Ideally, you don’t want to be able to tell which side of the fabric is meant to be the “visible” side (at least, not by the stitches). 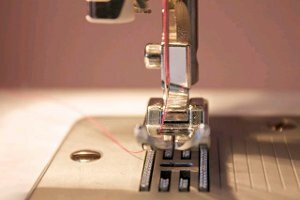 Sewing machines are complex beasts, so be sure that you thoroughly understand the way that your potential new sewing machine works before you invest. Do you want a front-loading bobbin, which yields a bit of a smoother stitch, or a drop-in, which is a bit easier to load and manage? Is the machine easy to thread, or is the process so complicated that it will put you off your projects before you even begin? One detail that a lot of people don’t take into consideration is the weight of the machine itself. Many companies are replacing the heavy metal parts with a lighter plastic, making machines more portable and cheaper. 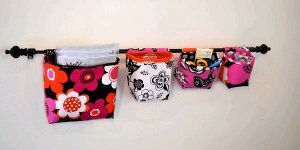 This is great for our wallets, but can become an issue if you’re working with particularly heavy fabric. Are you planning to sew any kind of drapery or heavily weighted fabric? If this is the case, be sure you get a machine with a bit of weight to it; after all, you want the fabric to move during the sewing process, not the machine! Finally, check the pedal. 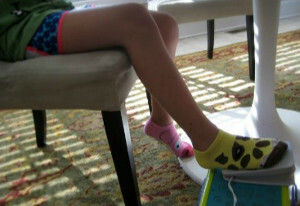 Not only do you want to make sure that it’s comfortable and easy to use, but also that it’s an actual foot pedals. Some sewing machines, particularly antiques, use the knee to control the speed. If you’re a beginner sewist, I don’t recommend this particular feature. They can be a bit tricky to get used to, and you’re better off just sticking with the trusty foot pedal. 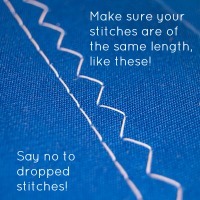 Most importantly, because there are machines which don’t include this feature, make sure your machine can backstitch! Backwards stitching is so helpful, especially when you want to end a stitch with a really sturdy knot. Unfortunately, this symbol isn’t necessarily universal, and not all machines have it, so you’ll want to check with the company to make sure that the machine is capable of stitching backwards. This is a useful feature to have, but totally unnecessary; you can use a straight stitch and be totally fine. Don’t let it make or break your decision, but if it comes down to two machines and one has the feature while the other doesn’t, it can be a handy tool. So there you go, sewists! You have all the information you need to buy a sewing machine. Good luck, and have fun! Plus! After you’ve selected your sewing machine, don’t forget to enter the AllFreeSewing and charmedLiebling giveaway to win a free purse pattern! Enter here once a day, every day until December 9th! Did we miss anything? Do you have any questions or tips? 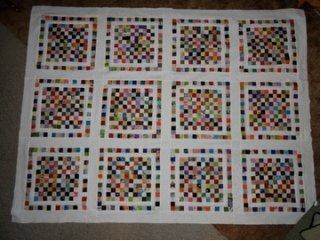 Today’s article on Choosing a Quilt Design comes to you from our guest, Carolyn Wainscott from Carolyn’s Canvas. 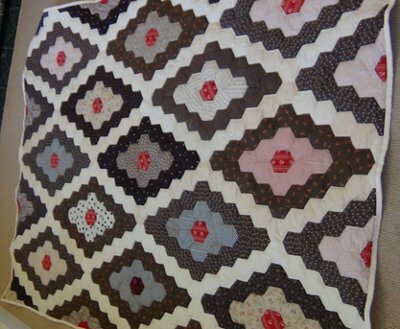 Enjoy her tips and her lovely photos of the vintage quilt tops she quilted! 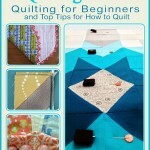 You can also find more quilting designs in the Patterns for Quilting section of FaveQuilts.com. That quilt top you spent so much time, effort and love on is done. The colors and fabrics had to match the design just so. With so much invested in the top, finishing the quilt deserves just as much thought and care. 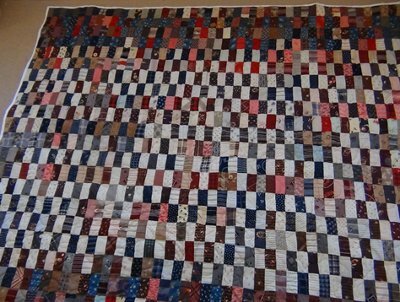 Or maybe you have found a wonderful quilt top in the trunk in the attic that needs to be finished. No haphazard quilting and binding here, please! 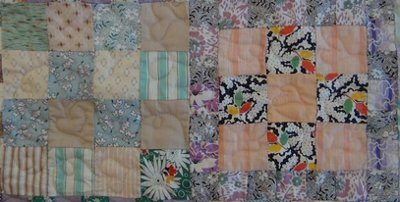 Eight vintage, or almost vintage, quilt tops were brought to me recently to be finished with machine quilting and binding. 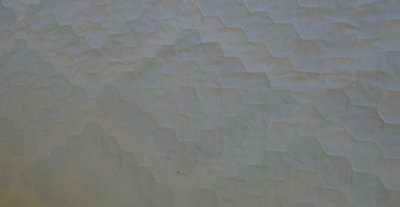 Each had been hand-pieced by the same quilter. Some fabrics ran through several of the tops. 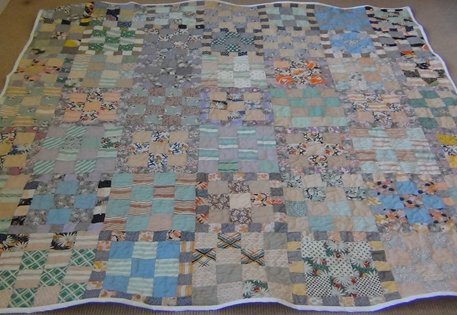 You lovers of old quilts would appreciate them, as I did. 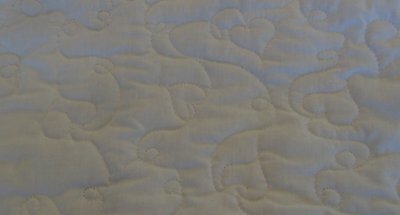 It almost seemed like sacrilege to defile them with so vile a contraption as my longarm quilter, so to ease my conscience, each was quilted to enhance the quilter’s work (let’s call the quilter Sarah). I could have stitched back and forth using one of the templates supplied with the machine and gotten done fairly quickly, but that would not have done justice to Sarah’s fine, hand-pieced work. Before one of the tops could be quilted, a couple of blocks had to be reinforced with lightweight fusible interfacing because some of the fabrics were quite fragile. The interfacing was cut in squares the same size as the top’s blocks and fused onto the back, and it was ready to go. If I had begun quilting before this was done, the fabric would have been shredded. 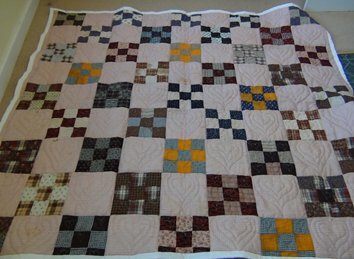 Now, you can’t tell the difference between the treated blocks and the rest of the quilt. A couple of Sarah’s quilts were quilted with allover patterns because the designs are so busy. This is Sarah’s charm quilt. I think it has over 800 patches, all hand-stitched, mind you! This is Sarah’s sawtooth double wedding ring. Yes, each of those triangles is hand-pieced! 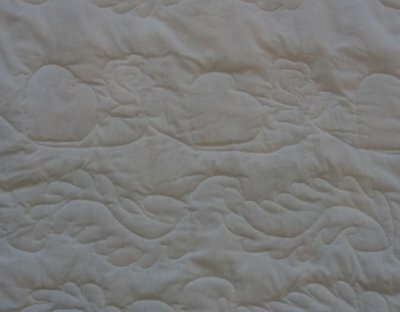 The muslin space between the rings allows some show-off quilting that enhances the quilt pattern. I didn’t realize Sarah’s 9-patch quilt was an Irish chain quilt until I had it laid out to take this photo. The second photo was taken while it was on the longarm. 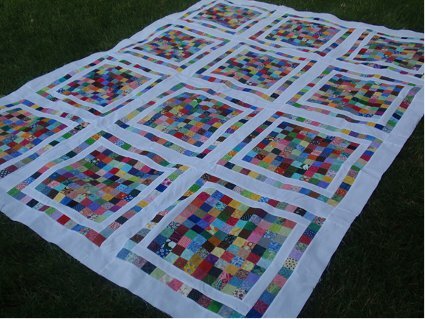 See how those plain blocks can add so much to the flavor of the quilt? 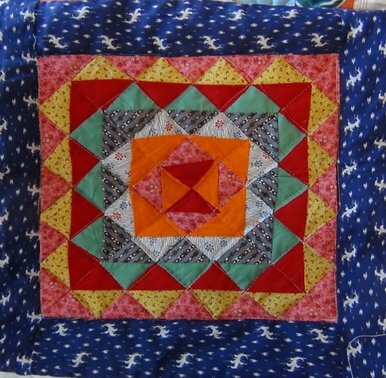 Here is a simple 5” block quilt with a free-motion, allover star pattern in each block. This is Sarah’s grandmother’s flower garden rendition with simple outline quilting to pump up the hexagons. 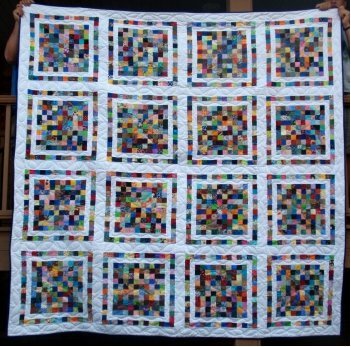 And my absolute favorite of all Sarah’s quilts is her version of a ocean wave block. Yep, it is all hand-stitched, and her color selection is as modern as you can get with her mix of oranges, reds and bright pinks blended with lots of other prints. 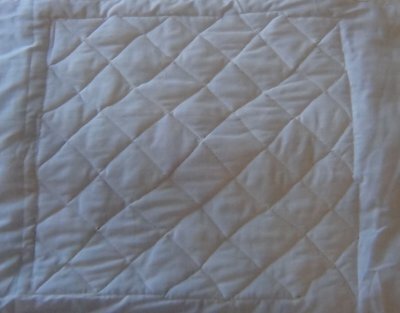 To bring out her individual triangles, a cross-hatch quilting pattern was used. 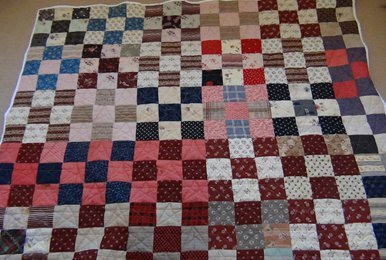 Because Sarah’s quilts were very traditional, I chose to stay with the more tried and true quilting of the time they were made. 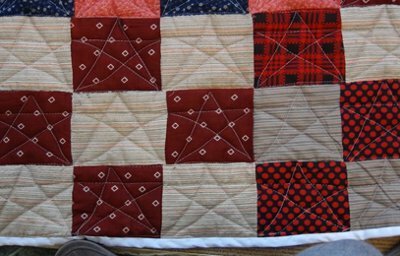 Some quilters may decide on the quilting pattern from the very beginning of their quilt or, like a lot of us quilters, let the quilt decide how it wants to be finished. 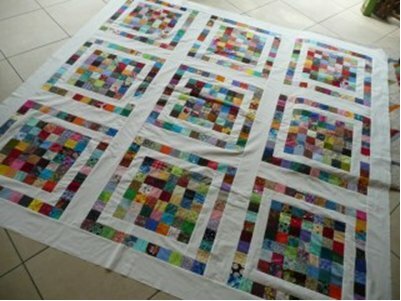 Whether you hand quilt or machine quilt, there are beautiful quilting patterns available if you don’t design your own. 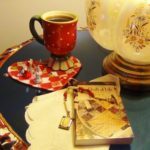 For a wonderful variety of machine quilting patterns, take a look at Leah Day’s site: Day Style Designs. Happy quilting! I hope you enjoy quilting as much as I do. 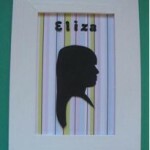 Please come by and visit me at carolynscanvas.blogspot.com. What’s your best tip for choosing a quilting design? It’s that time again! We’re gearing up for another episode of FaveCrafts Radio! This month’s topic will be simple home decor, one of my favorites, and we’ll be chatting with some crafty experts all about sprucing up your space. Two of our favorite ladies will be joining us to chat all about simple home decor craft ideas and the easy ways you can update your space! 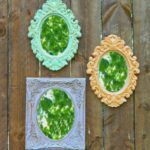 Amanda from Crafts by Amanda and Shalana from Country Woman Magazine will be chatting with us and happy to answer any of your crafty home decor questions too! 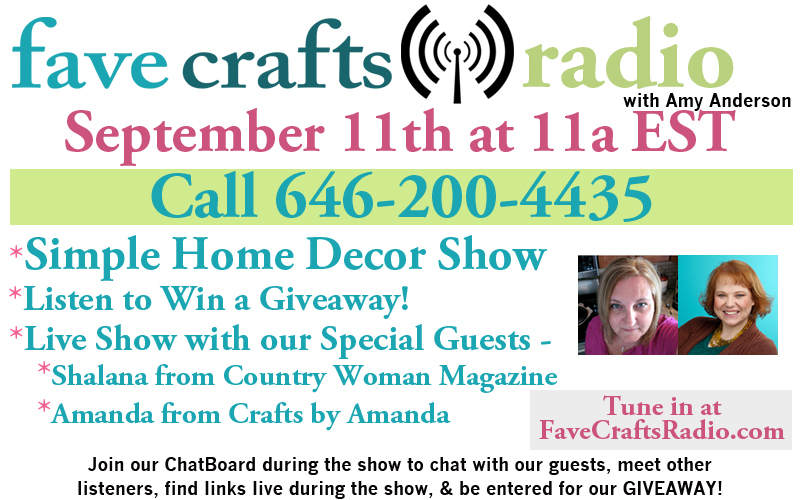 Just tune in on September 11th at 11am EST and call 646-200-4435 to have our craft experts answer any of your questions. You also won’t want to miss the announcement of a very special prize for all of our listeners after the show! 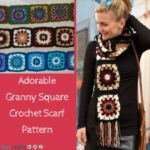 Did you miss last month’s Craft Wars show? No worries, you can listen to all of the past shows in the archives. 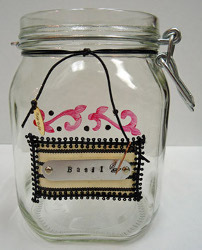 What are some of your favorite ways to craft for your home? 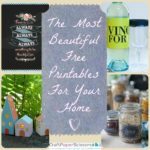 Here we are with some great new tips from bloggers! This week’s topic: Glue! Everything you could possibly want to know about how to make your hot glue gun strings go away or how to clean up those sticky messes! I know that when I make crafts with my little sister, she somehow manages to get glue all over the table. It doesn’t seem to matter if we put newspaper down, the table just gets messy. I used to try just soapy water and a wash rag, and when that didn’t work, I’d resort to harsher chemical cleaning projects. 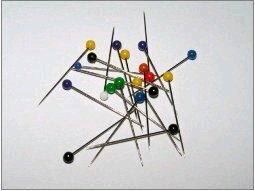 It became a huge problem and when my sister would come up with some crazy craft idea, I would groan a little inside because I knew the clean-up would be treacherous. But with these awesome clean-up ideas, I can breathe a sigh of relief. When I start a new craft project, I’m not always thinking about safety right away, especially when it comes to hot glue. It’s like my fingers are magnetically attracted to the tip of a glue gun. I know it’s hot, but I just don’t think straight when my creative juices are flowing! Anyway, just follow these smart tips on being safe with hot glue, and avoid any future burns. I know my fingers will thank me for this. So don’t fear the glue! Glue can be your friend and you don’t have to worry about getting burned by your hot glue gun anymore. Now you can dive into some great projects. For more great tips, you can check out our Adhesive Glue and Bonding Tips. Have a tip that you didn’t see here? Please share! Reader Question: Is there a difference between all the different types of solder available? And any soldering tips would be appreciated. Answer: There are a few different kinds of solder. The type of solder you need will depend on what you’re planning to do with it. 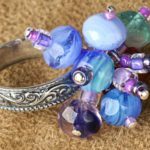 Some varieties of solder, like those used to make stained glass work, often have a small amount of lead in them…so you want to be careful when and if you’re using solder to make jewelry. When you’re in the market to buy solders, make sure you check on the lead content, especially if you’re planning to make jewelry with it. I highly recommend the Walnut Hollow Designed for Her Creative Soldering Tool. 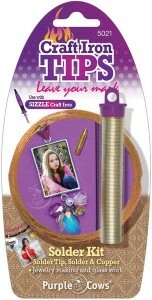 It’s easy to use and can be used for anything from jewelry making to stained glass crafting. It comes with the perfect soldering iron, assorted tips, and lead-free solder that doesn’t need any additional flux (flux is a liquid used in soldering to help adhere to the solder to the copper tape). For jewelry making, this is your best buy. You can find a Soldering Iron Kit and additional lead-free/no additional flux needed solder on CutRateCrafts.com. 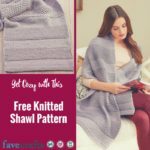 Do you have a question for Maria Nerius, Craft Expert at FaveCrafts.com? Just send us your question! I think people miss the mark when it comes to real live shows and craft presentations. You will notice when we are out at shows that we are different from many vendors. You have paid money to be there. It can be several hundred dollars to thousands to be there depending on the size and advertising budget of the event. So why on earth would you rent space if you aren’t going to engage the public. The Vendors aren’t dressed appropriately. Some, in fact, look dumpy dumpy and it’s not about weight. 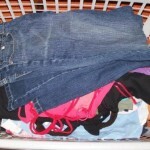 Attire is one of the first things people will look at before even approaching your display. Vendors looking miserable and complaining to public about poor sales / attendance. The public doesn’t need to know you are miserable. A sad story doesn’t create sales. It’s a turn off. Vendors hanging off personal devices, wearing Ipod Headphones, texting, and using personal cell phones. Every person that walks by is a potential customer. You might as well stayed home or in your car if you aren’t going to appear approachable. Displays are trashy / garage sale like. If this is your passion, display it in a way that looks interesting or unusual. Just because someone else has hung up something a certain way, maybe a different display is more eye pleasing. Position tables and sales areas that are inviting. Many people like to put a table in the front of the booth where they are sitting and their display is at the rear of the booth. Essentially, human instinct dictates that you have just created a mental barrier and people feel like they are intruding on space or feel if they go behind your table, they be trapped into buying something when in fact, they just want to snoop. Dress the part. A wise artist once told me that if I love Crochet so much, I should be prepared to wear it too. She’s right, when I look at artsy dressed up, people know right off the bat I am serious about loving my hobby. People love visuals and are fascinated with techniques. 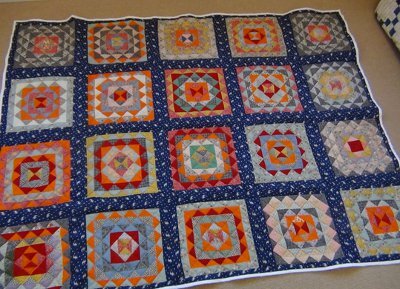 If you are a quilt maker, why not show samples or your work by doing hands on demonstrations. It show precision and creativity which captivates people. Be authentic, you aren’t going to love everything or everyone. It’s like walking into a furniture shop and the sales person absolutely LOVES EVERYTHING in the store. She isn’t kidding anyone and she isn’t being real nor is she going to get my business because I can’t trust her judgement. You have just seconds to prove you are authentic. Make your display inviting and eye pleasing. Have a flow within your section that makes sense. Colours with colours, ideas with ideas and etc. Many booths I see are TOO MUCH stimulation. They want to display EVERYTHING they possibly own but as a whole it turns the display into a flea market appearance. Pick your best items as it proves your worth, samples can be shown if more questions come along. Have fun, engage your neighbours at the show. More often than not, we have referrals from other vendors at our shows because we have made friends. IE, I may use yarn in a demonstration that has been provided by a hand spun yarn woman. People ask me where I got it from, I point the direction and they see her yarn working instead of at her display doing nothing but sitting on tables with no finished samples of what it could be. Don’t spend 1000’s of dollars on shows or festivals if you aren’t going to operate them properly. The public is smarter than you realize and it’s up to you to see potential in everyone, even if they haven’t spent a dime at your booth. They may refer you further down the aisle or on their daily travels long after the show is done.